Today we’ve released Sekai Phone ver.4.3.0, supporting Chromecast, It is available on Google Play. 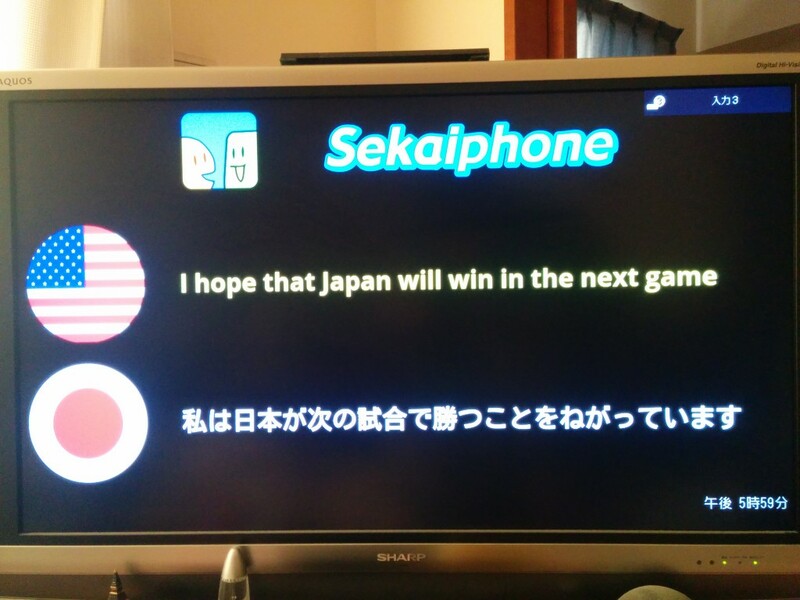 Sekai Phone supports Chromecast. 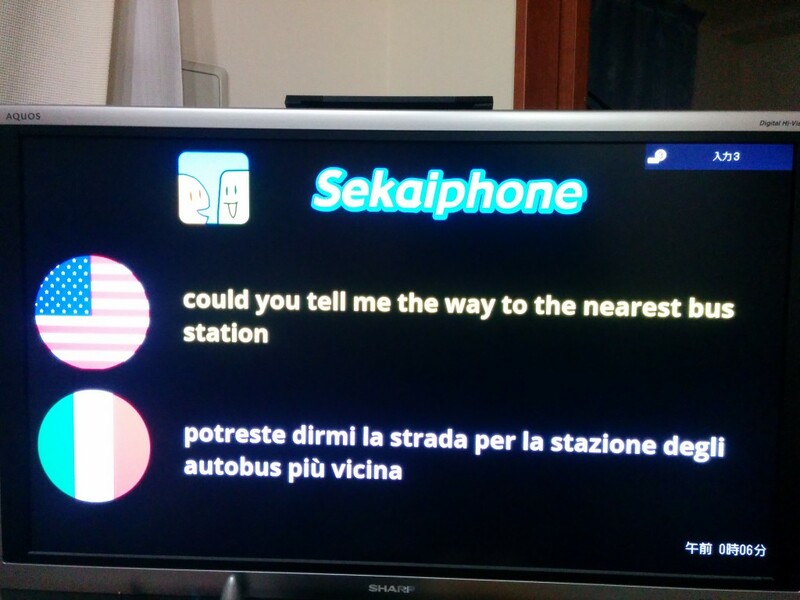 So you can use Sekai Phone with watching TV. At first, you need to push “Up-Right Cast Button”. 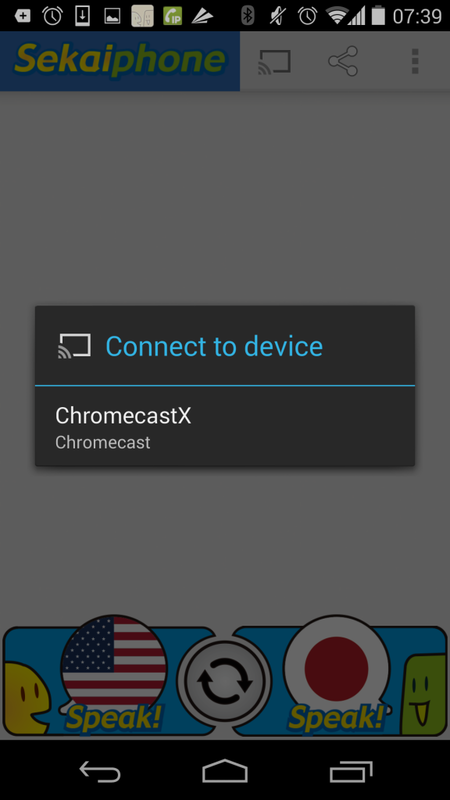 And you need to tap your Chromecast. 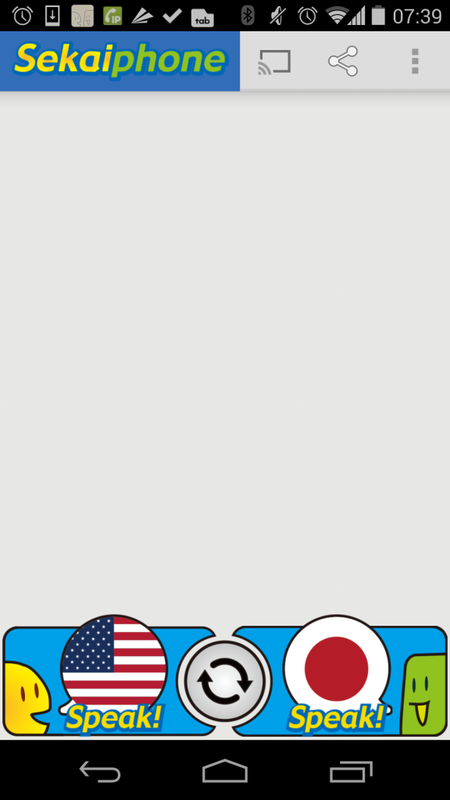 If it is completed, you can use watch Screens of Sekaiphone on TV via Chromecast.